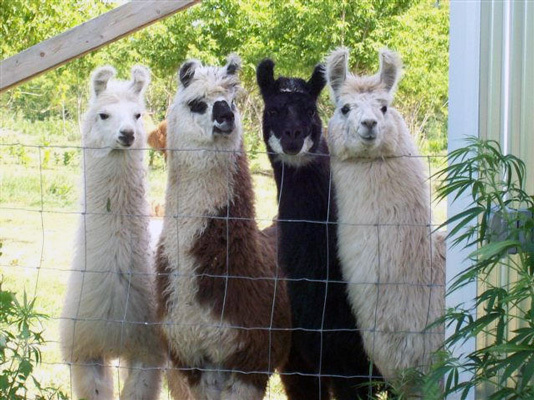 Our small farm is growing quickly, as I realize I am addicted to Llama Love!! Our aim is to breed for quality of conformation, as well as to have animals that produce an abundance of fiber. I cannot wait to have more fiber to process! I also want animals with a disposition that makes them fun to have around. They should not be hand raised (bottle fed) as they will then imprint on humans, causing all kinds of difficulties. But they can still be handled as you work with them on halter training, grooming, breeding, etc., allowing them the opportunity to learn to trust humans.